How long have you been volunteering at Darby Creek? I have been volunteering since my oldest son, who is now an 8th grader, was in Kindergarten (I'm not great at math, but I believe that is nine years). What do you love most about volunteering? I love interacting with the students and getting to know the teachers and staff. What do you do outside of the school? Oh, lots of things - Mostly I take care of my three kids and my house, but when I'm not doing that I work out of my home as a freelance science and blog writer (I have master's degrees in genetics, and used to be a genetic counselor), I teach fitness classes, and I sing! I volunteer at Scioto Ridge United Methodist Church where I sing in the choir and help with Vacation Bible School. What benefits do you get from volunteering? Lots! I have made some very good friends through volunteering at DCE. Also, I enjoy the feeling that I have helped support the efforts of the teachers and staff caring for, and educating, our kids. Darby Creek is a great place, and I enjoy being there. What is your best memory while volunteering? I love doing the Walk-a-thon kick-off and awards assemblies. The students are so full of energy and excited about this big event, and I love getting them involved in supporting their school. Thank you Carrie for your tireless effort on behalf of DCE! Kimber has been volunteering at Darby Creek since her family moved to Hilliard in 2012 and her daughter was in 1st grade. Currently she serves as Vice-President of the PTO Board as well as the website administrator. Kimber and her husband own a virtual assistance company called WhangDoodles, Inc. that provides administrative services like graphic design, non-profit management, bookkeeping, and other business related services to small businesses and non-profit organizations across the US. In addition to PTO service, Kimber has also volunteered in her daughter's classroom. She loves to be creative and design projects like bulletin boards, posters, and websites. Outside of school, Kimber is actively involved in her church - serving as a volunteer choir director, music coordinator, and Columbus area Public Affairs Assistant Director. With her work-from-home business, Kimber enjoys working with all kinds of clients and organizations - her favorite being a medical organization called Kybele in North Carolina that takes volunteer teams of professional OBGYN/OB Anesthesiologists/Midwives to developing countries to teach safe childbirth practices. Kimber regularly travels with Kybele as their marketing/administrative professional. Kimber and her husband, David are also involved in attending their daughter's gymnastic competitions and love to travel to see family. Umpteen years ago, Kimber was a competitive equestrian - showing Morgan horses across the midwest for more than 20 years. Incidentally, she graduated from Baldwin Wallace College in Berea, OH the same year as Mrs. Teske and PTO President Carrie Drovdlic but hadn't seen them for nearly 18 years until she came to her first DCEPTO meeting! What does she love about Darby Creek? Kimber loves to see her daughter enjoy activities like field days, field trips, artist-in-residence, and other activities supported by the PTO. She feels it is important to volunteer in some way, whether at school or in the community and to show her daughter by example. And the Darby Creek teachers are GREAT! Amy has been volunteering the the classroom and for PTO events since her son, Gavin was in Kindergarten. So, 4 years now. She loves to watch the students in action. She really finds great joy in helping them to learn, explore, and have fun. It makes her day when she can brighten their day somehow. Outside of school, Amy is a realtor with Coldwell Banker King Thompson. She also enjoys volunteering her time with organizations affiliated with her church, Girls on the Run, and local sporting events. Amy believes in giving back and helping others. She tries hard to make a positive impact on those she touches in her life. Her best memory of volunteering would be from this past fall when she co-chaired the "I LOVE DCE Winterfest". She really enjoyed strengthening her relationships with both the faculty and the families here at Darby Creek. Amy - we are so glad to have your talents and enthusiasm! 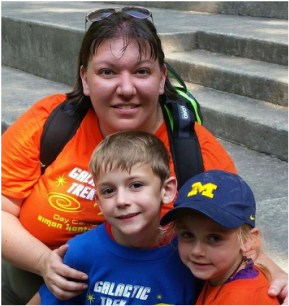 Christine has been volunteering at Darby Creek since her son started kindergarten in 2011. She loves being in such a friendly and educational atmosphere. Darby Creek has an awesome staff, and she enjoys seeing kids she has gotten to know in the hallways! She gets to watch her children be the “little professionals” they are in class, in a way they do not show at home. It’s nice to be known around the school, and to know that the staff recognize her and her kids. She has seen first-hand how the school runs during the day (fire drills, book fairs, etc. ), and can relate better to the overall experience at DCE. As a former teacher, she greatly appreciates what all the DCE teachers do for the students, and enjoys showing her appreciation by lightening their load when she can. Her favorite volunteering memory so far actually happened at home while getting breakfast ready. Her daughter, Anastasia, asked “Is today the day you are helping at my class?” When she said yes, Anastasia got a huge smile and yelled “YAY!” She loved knowing that her kids enjoy her time at DCE as much as she does. When not taking care of her two Darby Creekers or volunteering, Christine also teaches catechism at St. Brendan’s and is a Cub Scout den leader. Lani has been volunteering at Darby Creek for 2 years, since her oldest transferred in 2nd grade. She loves that through volunteering, she has the opportunity to be with her kids in their classroom activities, and gets to see what they are doing first hand. 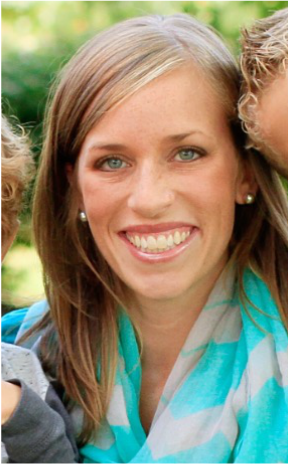 Outside of school, Lani is a stay-at-home mom/homemaker and is very involved in her church, Vista Community Church. 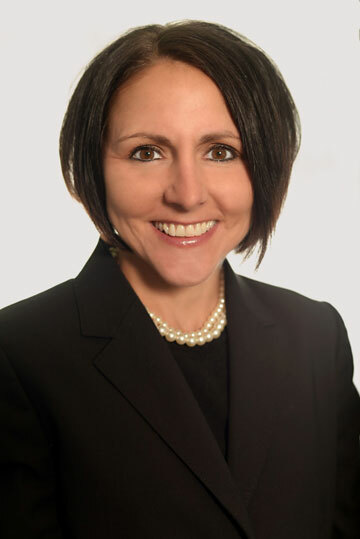 She is also very passionate about helping to connect women and families in Hilliard. It has been such a joy forming relationships with other parents and families in the neighborhood and Darby Creek community. Some of her favorite memories are from class parties and field days, where she has had the chance to personally get to know more of her children’s friends and the amazing teachers/staff of Darby Creek that teach and care for her kids each day. Thank you Lani. We are sure glad to have you at Darby Creek! Kara has been volunteering at DCE for 5 years, since her oldest child started kindergarten. She loves that through volunteering she has been able to feel a part of the Darby Creek Community. Getting to know the teachers, staff, and classmates has been so much fun! In addition to keeping up with her kids activities, Kara, recently purchased the Elements Art Studio in Old Hilliard! She spends a few nights a week teaching painting classes to kids (some Darby Creekers) and adults. Kara also enjoys keeping up her New England sports teams, and sewing. Kara says it has been amazing to see the students and teachers in action. She has been able to get to know her children's teachers, and build a great relationship with them. She thinks of many of them as family. Its easier to ask her kids about school after seeing some of the work they are doing first hand. She has also been able to guide their education better by having more frequent, short talks with their teachers. Kara has also met MANY amazing parents who have volunteered along side her. Her favorite memories are always those from the Holiday party days...specifically, the Winter Sing-a-long. It is her favorite part of each school year...being able to see all of the kids singing, and dancing with their friends and teachers. Thank you Kara for your many hours of PTO volunteer support! "My name is Denise Castle, and I have only been volunteering at Darby Creek during this current school year. My family and I moved to the school area this summer from the Brown elementary area. I work part time as a Hair Stylist at My Own Salon on Fishinger Road. I love helping my girls teachers and I also gain a little insight on how my girls are learning and the methods they are learning. My favorite part of volunteering is getting to know the children and teachers in the school and feeling like I can help them out - even in a small way. I love seeing the smiles on their faces as I walk down the hall." Welcome to Darby Creek, Denise. We are glad to have you as a volunteer! Jennifer Hemstreet has been volunteering at Darby Creek for 6 years and this year she has taken on the roll of Crossing guard. She loves helping teachers and other staff members with daily tasks as well as helping students learn. Outside of school helping the children cross safely to school she is a Thirty One Consultant. She does home and online parties. She has encountered so many benefits from being a DC volunteer. She has met new people, made friends, and learned new skills. She loves having a sense of achievement knowing she has helped the students and teachers. She loves having a students say "hi" and call her by name and her best memory so far was from a student she had helped with their school work. A few week later the that same student came and told Jennifer that that information had been on a test and they had gotten a good grade. Thank you, again, for all of your help Jennifer!